By the time this article is printed, it is quite likely that the federal capital will have been turned into a ghost town. It has been reported that the Interior Ministry has instructed restaurants not to serve food, hotels not to rent rooms and transporters not to hire out their services in the lead-up to March 16 (which is when the Long March is supposed to culminate in Islamabad). Main thoroughfares are all set to be blocked and entry and exit into the twin cities will be highly constricted. If successive governments in this country are to be believed, every action ever taken by any government of the day is always taken ‘in the national interest’ – even actions that result in our losing half the country. Given this trend, which has been with us since the early 1950s, it would come as no surprise if government spokesperson were to tell us that Section 144 has been imposed in various parts of the country ‘in the national interest’. Abdul Akbar Khan was born in 1949 in Spinkay, a village on the outskirts of Mardan in the NWFP. His father, Sher Akbar Khan, was a farmer and miner. After doing his LLB, Abdul Akbar practiced law for a few years. Later, he joined the Pakistan People’s Party (PPP) and was soon able to win the confidence of the late Benazir Bhutto. He developed such a rapport with her that she stood by him through thick and thin. The responsibility of a government begins, not ends, with the launch of a new initiative or promulgation of a fresh law. Strangely, it is here that governments seem to falter; the case of hospital autonomy reforms being a prime example in the case of Pakistan. The major reason why the full potential of the reforms could not be realised has been the lack of attention paid to vital processes of monitoring and accountability. Popular and policy rhetoric around the challenges posed by climate change calls for concrete steps to implement adaptation strategies in the developing world. The realisation that ‘we did not inherit this Earth from our forefathers, but have borrowed it from our next generations’ has prompted both environmental activists and capitalist industrialists to go ‘green’, in order to save the planet and human beings from an untimely yet avoidable atrophy. However, the story does not end here; it is much more complex. Climate change has emerged as a matter of global concern in the last decade or so. Pakistan is also affected by different outfalls of climate change caused by global and local actions. The common global factors include carbon emissions, global warming, depletion of ozone layer, melting of icecaps, rising ocean levels, reduction in forest cover, adverse impacts on biodiversity, reduction in fresh water reserves and anamolies caused in weather patterns. A democratic government’s responsibility is to create a safety net of minimum standards for its people who fall in low- and middle-income groups. But, unfortunately, price-hike of each and every essential commodity in Pakistan is making the lives of the poor miserable. Every month, they have to get ready for more shocks of rise in utility tariffs, and inflation in food and non-food items. Now, the new bombshell of rise in the prices of medicines of major companies is haunting them. Today the world faces the major challenge of poverty alleviation. At present, 1.2 billion people around the globe still live on less than $1 a day and nearly 850 million people go hungry every night. Therefore, poverty reduction should be at the heart of all development efforts. The General Assembly of the United Nations has recognised the highly positive impact of microfinance on poverty reduction. The recent brazen attempt to blow up the shrine of great Pashto poet Abdul Rehman, commonly known as Rehman Baba, has stirred widespread anger and condemnation. The continued attack on shrines is another gory dimension of the ongoing militancy in the NWFP and Fata. It also manifests the decreasing level of religious tolerance in our society. The militants, using an improvised explosive device (IED), tried to damage the shrine of the legendry poet – located on the outskirts of Peshawar – on March 5. The shrine of Rehman Baba (1632-1707), rebuilt in 1994, is always crowded by devotees and followers, both men and women. Of course, the volatility of Pakistani politics means that it is just as likely that a last-minute deal is struck between the two biggest parties with the ever so gracious governments of the United States and United Kingdom playing the role of broker. In such a scenario, tension would ostensibly be diffused and the Long March might even be allowed to take place in a peaceful manner, with political activists, lawyers and citizens given permission to exercise their democratic rights to assemble and dissent. Or it might not take place at all if some kind of restoration of Iftikhar Chaudhry to the Chief Justice-ship is engineered. In any case, the last few days have simply underlined that the contradictions within the ruling establishment that came to the fore with the sacking of the chief justice two years ago remain virtually irreconcilable. I noted a couple of weeks ago that, within the confines of the existing system, the only hope is for political forces to ally decisively against the military establishment, but the mainstream parties remain unwilling to come together conclusively to wage this ultimate battle. In other words, only a new political force, uncontaminated by unholy pacts with the establishments (or segments thereof), can provide relief from this infuriating game of musical chairs in which very little seems to change. A cursory look at how deeply implicated the mainstream parties are in the status quo is necessary. Both the Pakistan People’s Party (PPP) and Pakistan Muslim League-Nawaz (PML-N) are unable and/or unwilling to break with the three A’s: America, Army and Allah (as represented both by the ideology of the state and the religio-political movements that thrive on this basis). One need not be a rocket scientist to recognise the role that the three A’s play in Pakistani politics and the fact that only a break with all of these can facilitate a departure from the status quo. That neither of the two big parties is willing to take on such a challenge is also beyond doubt. After the general elections last year, while there was little expectation that the PPP and PML-N would try and engineer a radical shift in policy, the feeling was that they would make a much better fist of things and at least ensure that the democratic political process took root, through which newer and more radical political projects might emerge. This has not happened. As it turns out, America and the army wanted some semblance of stability for their own reasons; the former for the purposes of prosecuting the so-called ‘war on terror’ and the latter for further rehabilitating its image as guardian of the nation (which took a battering towards the end of Musharraf’s tenure). Thus, America and the army have also expressed their displeasure at the recent turn of events. In many ways, it is the Allah constituency that benefits most from the existing state of disrepair. The religio-political movements present themselves as a viable alternative to a socio-political order that is dysfunctional. It is another matter that, historically, these movements have been dependent on America and the army to keep them afloat. What matters now is that the deepening contradictions within ruling circles can benefit only the religio-political movements, because they are the only relatively organised political force capable of taking advantage of the situation (as the gains made by mullahs in Swat and FATA indicate). Having said this, I do not believe that there is a chance of some kind of millenarian revolution in Pakistan, because the Allah constituency is still not entirely autonomous of the other A’s. In any case, with the exception of some outliers, it does not have any desire for a fundamental social upheaval. Thus, as Faiz once famously said, what we should be worried about is not that things will get worse in Pakistan, but that things will stay exactly as they are. In short, we will remain in a permanent state of dysfunction. The only way out is building a political force willing to take on the tremendous challenge of dislodging the three A’s and, thereby, creating a rupture in the power structure. Such political forces typically emerge in the wake of mass movements. The PPP itself was one such force; while the guile of Zulfikar Ali Bhutto was a major factor in the stunning rise to power of the PPP, the organic transformation of society and the mass mobilisation that ensued arguably provided Bhutto with the opportunity to do as he did. When the movement around the chief justice was at its peak, many keen activists were expectant that a new political formation would come into being. This was wishful thinking, but the fact that the wish existed speaks volumes about the political incumbents. The contradiction within to which I have made reference in this article will intensify in coming days, weeks and months. None of the protagonists mentioned here, including the 3 A’s or the mainstream political parties, can provide an answer to the many questions that have emerged since the start of the so-called ‘war on terror’. They will continue to jostle for position and there may even be periods of temporary relief. But in the final analysis, a clear anti-imperialist, anti-capitalist and popular political alternative must come into being if the contradiction is to give way to a new conjuncture. The chickens of 62 years are coming home to roost and, as usual, the people of Pakistan are getting the short end of the stick. A variation on this theme is actions taken ‘in the supreme national interest’. The addition of the word ‘supreme’ in this formulation is meant to obfuscate the fact that such actions are, in reality, highly undemocratic measures aimed at cracking down on the government of the day’s political opponents. The list of such actions is a very long one indeed. When Governor-General Ghulam Mohammed dissolved the Constituent Assembly in 1954 and sacked the Nazimuddin government, it was done ‘in the supreme national interest’. When the Federal Court (the forerunner of today’s Supreme Court) upheld Ghulam Mohammed’s action in a 1955 judgment, it was done ‘in the supreme national interest’. The only judge who disagreed with the Federal Court and wrote a dissenting judgment was the late Justice AR Cornelius. He went on to become Chief Justice of the Supreme Court. Many still fondly remember him as Pakistan’s greatest chief justice. When Prime Minister Choudhri Muhammed Ali came up with the so-called ‘One Unit’ scheme in 1956, merging the four provinces of the country’s western wing into the single province of West Pakistan, thereby doing away with the very concept of federalism on which Pakistan was founded, it was done ‘in the supreme national interest’. Among other things, the ‘One Unit’ scheme sought to undo East Pakistan’s demographic majority through the politically untenable and undemocratic concept of ‘parity’, thus setting the stage for the eventual secession of the eastern wing. When Governor-General Iskander Mirza sacked Firoz Khan Noon’s government in October 1958, scrapped the 1956 constitution, banned political parties, and appointed army chief and defence minister General Ayub Khan the country’s chief martial law administrator, it was done ‘in the supreme national interest’. When Ayub Khan sacked Iskander Mirza only three weeks later, packed him off into exile in England and assumed the office of president himself, it was done ‘in the supreme national interest’. When Ayub Khan imposed his own authoritarian constitution on the country in 1962, it was done ‘in the supreme national interest’. His constitution introduced the concept of the so-called ‘Basic Democracy’, with some 80,000 Basic Democrats forming the electoral college for the election of the president. To no one’s surprise, these Basic Democrats then elected Ayub Khan president, though there were widespread allegations at the time that the presidential election of 1965, in which Ayub Khan supposedly defeated Miss Fatima Jinnah, the Combined Opposition Parties’ candidate, had been rigged. When Ayub Khan handed over the presidency to army chief General Yahya Khan in March 1969, instead of to the speaker of the National Assembly as provided for in the 1962 constitution, it was done ‘in the supreme national interest’. When Yahya Khan put the country under martial law, it was done ‘in the supreme national interest’. There was not a peep out of the courts when he took that step. After Yahya Khan’s ouster in December 1971, however, a Supreme Court judgment declared him a "usurper". When Yahya Khan launched a military crackdown against Mujibur Rehman’s Awami League in East Pakistan in March 1971, it was done ‘in the supreme national interest’. Following the launching of the crackdown, the Pakistan People’s Party’s Zulfikar Ali Bhutto said in a statement at Lahore airport on his return from Dacca on March 26: "Thank God, Pakistan has been saved." In fact, of course, that was not the beginning of the ‘saving’ of Pakistan, but the end of Jinnah’s Pakistan as we knew it. After taking over as president of what was left of the country on December 20, 1971, Bhutto announced that what we now had was a "new Pakistan". When Bhutto – aided and abetted by the army’s new chief Lt-General Gul Hassan and air force chief Air Marshal Rahim Khan – appointed himself the country’s first civilian chief martial law administrator on December 20, 1971, it was done ‘in the supreme national interest’. Only a few months later, Bhutto sacked Gul Hassan and Rahim Khan, accusing them of "Bonapartism". The sacking was seen as a classic example of the old adage about biting the hand that feeds one. When Bhutto declared a ‘state of emergency’ in the country within hours of the adoption by Parliament of the 1973 constitution, thereby suspending all the fundamental rights that had been given to the people by the new constitution, it was done ‘in the supreme national interest’. Ironically, the ‘state of emergency’ was formally lifted only in late 1977, several months after army chief General Zia-ul-Haq had ousted the Bhutto government in a military coup on July 5, 1977. When General Zia took over the government and placed the country under martial law, it was done ‘in the supreme national interest’. In a radio and television address to the nation, Zia solemnly promised to hold elections in 90 days and hand over the government to an elected government. In the event, those 90 days stretched out into 11 years – all, of course, ‘in the supreme national interest’. When Zia held a referendum in December 1984 asking people to vote on whether they wanted an Islamic dispensation in the country (a referendum couched in terms that declared that if the people voted ‘Yes’ to this question, it would be taken to mean that General Zia-ul-Haq would continue as president for the next five years), it was done ‘in the supreme national interest’. That was a bit like someone telling a group of cricket fans, "All those in favour of playing cricket, raise your hands" and then, when everybody had raised their hands, declaring, "Oh, good, that means I’m elected captain." When President Zia railroaded the National Assembly and the Senate (elected under the non-party elections of March 1985) into enacting the 8th amendment to the 1973 constitution, which gave the president the right to sack the government and dissolve the National Assembly, it was done ‘in the supreme national interest’. Among other things, the 8th amendment also provided ‘constitutional cover’ to a whole host of martial law regulations and orders promulgated by the Zia military regime, as well as to various actions and measures taken under those regulations and orders. A few weeks later, martial law was formally lifted. Zia, however, continued as president and army chief. 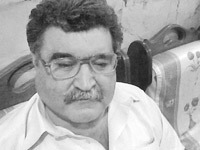 When Zia sacked his own hand-picked prime minister, Mohammed Khan Junejo, in May 1988, following the Ojhri Camp blast and Junejo’s subsequent statement in the National Assembly promising to table the Ojhri Camp inquiry report on the floor of the House, it was done ‘in the supreme national interest’. When Zia chose not to appoint a caretaker prime minister to head the caretaker government following the dismissal of the Junejo government and the dissolution of the National Assembly in May 1988, contrary to the provisions of that very same 8th amendment, and decided to run the caretaker government himself from behind the scene, it was, again, done ‘in the supreme national interest’. The list of things done ‘in the supreme national interest’ goes on and on. Abdul Akbar Khan, who has been elected six times as an MPA, attributes his success to untiring service to the electorate, deceit-free politics and people’s love for him. He remained speaker of the NWFP Assembly from 1993 to 1996, while he served as its deputy speaker from 1988 to 1990. He is currently the parliamentary leader of the PPP in the NWFP Assembly. Besides, he is chairperson of the provincial Public Accounts Committee. The News on Sunday: Before your appointment as the PPP’s parliamentary leader in the NWFP Assembly, you were often critical of the coalition government in the province. Why have your views changed since then? Abdul Akbar Khan: In a democratic dispensation, opposition and treasury benches have specific roles to play: the former criticises the government’s policies, while the latter defends them. Their respective roles change as they move from one side to the other. You will never see a chief minister or a minister attacking his or her government. As far I am concerned, I have never indulged in opposition for the sake of opposition in any of my six stints as an MPA. I am for constructive opposition only. I have always raised important issues on technical grounds and will continue to do so. In fact, I have been of great help to every government. TNS: How did you find the late Benazir Bhutto as a leader? Would things be different had she been alive? AAK: The late Benazir Bhutto would have done a lot for the country. Her physical presence would have made things much easier. She was a woman of exceptional qualities. She was approachable, a patient listener and an astute orator. She would listen intently, consider suggestions and solve problems in no time. She loved the poor and even sacrificed her life for their sake. I think her presence at the top would have been of great help to the country and its people at this critical juncture. TNS: Who might have killed Benazir Bhutto? AAK: I think at the moment it would be premature to say who killed Benazir Bhutto. She would surely have asserted herself had she been alive when the PPP came to power after general elections last year. He enemies didn’t kill just a politician; they killed the prospective prime minister of Pakistan. Being apprehensive of her intentions, stature, wisdom and courage, the enemies decided to kill her before she could become the prime minister. The enemies thought it would be difficult to attack her once she came to power. She did not have enough security, because her successive pleas in this regard were ignored by the Musharraf regime, thus the attack on her life. Some local actors are also suspected, but they surely couldn’t have completed the task single-handedly. So, a foreign hand involved might be involved. This certainly was a conspiracy to destabilise Pakistan through annihilation of popular leadership. Mind you, Nawaz Sharif was also in exile then. The PPP government in the Centre wants to the investigation to be done by the United Nations. Investigations by the Scotland Yard in 2008 were meant to ascertain the cause of Benazir Bhutto’s death only and not to identify her killers. One prays and hopes that her killers would be exposed and punished, and investigation by the UN will certainly help in this regard. TNS: Do you subscribe to the view that the NWFP has been denied its due share by the federal government? AAK: The NWFP is a resource-rich, but poor, province. It has not been handed over its due share by the federal government, but politicians of the province should share as much blame as successive governments in the Centre. Take for example the decision of the outgoing Mutahida Majlis-e-Amal (MMA) government to accept arbitration on the issue of net hydel profit. However, arbitration was totally irrelevant in this case; you accept arbitration only when there is a mutual disagreement on an issue, which was not the case here. The net hydel profit fixed by the AGN Qazi Commission is NWFP’s constitutional right. The commission was established and authorised to do so in 1987 by another constitutional body, the Council of Common Interests (CCI). It was guaranteed through constitutional provisions, thus no government can deny it. So, there was no need for arbitration at all. The NWFP should have stuck to the AGN Qazi formula and should not have accepted the arbitration; once you accept arbitration in any matter, you will have to accept the decision. Besides, the MMA government also abandoned the demand for payment of royalty for 18 years (from 1973 to 1991). The interest on the outstanding amount that Wapda owed to the NWFP was also ignored. Only royalty was demanded and that too on the basis of old power tariff. The result is that the province is still given net hydel profit of Rs6 billion a year, based on power tariffs of 1987 when the rate was Rs0.33 per unit, while per unit price of electricity has increased manifold since then. At present, 18 billion units of electricity are produced in the province and it deserves more than Rs6 billion on the basis of new electricity tariff. Remember that net hdyel profit fluctuates with increase or decrease in prices of power tariff. On the other hand, royalties – for example, on gas, minerals, timber, etc – are fixed. The wrongs done to the province regarding royalty on its resources is another sad story. TNS: What should the NWFP government do in this regard? AAK: The province is faced with many challenges and problems, such as poverty and terrorism. It is a frontline area in the so-called ‘war on terror’, thus the most affected part of the country. The law and order situation is bad. Terrorism and extremism is on the rise. Our precious timber resources are being destroyed unscrupulously. According to media reports, two million cubic feet of high quality timber worth hundreds of billions of rupees is lying under the open sky in Kohistan alone, because of the ban on its transportation. The same applies to the gemstone industry. The NWFP houses 14 percent of Pakistan’s population, thus over Rs70 billion should be earmarked in the Public Sector Development Programme (PSDP) for the province. However, the development budget for the NWFP in the current financial year (FY09) is only about Rs8 billion, which is much less than what is warranted on the basis of the province’s population or poverty therein. The NWFP government should propose mega projects for the next year’s PSDP. For example, it should propose a scheme to bring under cultivation millions of acres of cultivable land in the southern parts of the province. We have plenty of water available for irrigation. An estimated 10,000 cusecs of water of our share is either used by other provinces or goes in the Indian Ocean. This water can be used for the scheme. We belong to the province and should ensure that the NWFP gets its due rights. There cannot be a better opportunity for this, because a coalition government is in power both in the Centre and the province. Therefore, the NWFP government should take up these issues with the federal government at the earliest. TNS: What are the fundamental flaws in Pakistan’s political system? Isn’t personality cult too rampant here? AAK: The biggest flaw in our political system is that elections are contested for power and wealth. These are neither ideology-centric nor service-oriented. The main objective of politicians and parties is how to make it to the parliament. So, there isn’t, and can’t be, a merit-based selection of candidates. The criterion to field someone as candidate is whether he or she can spend enough to win the seat. Sincere and committed workers are neglected. Tickets are awarded to wealthy and influential people who may not be sincere workers of the party. This leads to lota culture and horse-trading. If ideology-based politics is promoted, this scourge could be eradicated. Another malady with our political system is that commitments are not kept. Mostly unrealistic promises are made with the electorate, because they are not meant to be fulfilled. This causes public resentment as well as disenchantment with the system. Yes, the party system in Pakistan is personality-oriented. But it cannot be contested that this is a regional phenomenon not limited to Pakistan alone. This has been a tradition all over the subcontinent. People in India, Bangladesh, Pakistan and Sri Lanka follow political dynasties. TNS: The recent swat peace deal is being criticised as capitulation to the militants. What are your views on the issue? AAK: The deal should be viewed in its true perspective. Swat was a princely state. For 200 years, it remained under the ambit of Sharia laws. The system in vogue there ensured free, quick and easy justice to the people, if nothing else. It was in 1969-70 that Swat was merged into Pakistan. But it was given a special status and made part of the Malakand division, to be governed by the Provincially Administered Tribal Areas (Pata) regulations. Later, the regulations were declared unconstitutional by the Supreme Court, which created a legal vacuum. The matter may also be viewed from another angle. Other parts of Pakistan have remained under the purview of the Criminal Procedure Code (CrPC) and Pakistan Penal Code (PPC) for more than 140 years and are now fully accustomed to these laws. On the contrary, Pata and Fata didn’t experience these laws for that long. The people there could not get used to them. They faced many difficulties in getting justice. They hardly knew anything about the intricacies of the new legal system. Therefore, the people campaigned for Sharia-based legal system, which could offer them speedy justice. However, there are good tidings that the Punjab government is currently evaluating its hospital autonomy initiative, while the NWFP government has employed full-time professional chief executives on market-based salaries – in place of clinical doctors – to run autonomous hospitals in the province. While appreciating the bold step of appointing qualified chief executives, leaving hospitals to the discretion of one individual is at best naive. The responsibility of the government does not end here; it is, in fact, now that it begins! Whether a relic of the past or a trace in our subconscious as Mughal emperors’ history, we as a nation always look towards individuals – a generous, wise king would come and solve our problems. However, societies have become too complex and the role of governments has changed to taking care of the "collective good" as a custodian and steward, rather than a conqueror who distributes doles and charities. Therefore, if the government wants to leave a mark on history as a guardian of the population’s health, it should start fulfilling its responsibilities by first reviewing the contract that hospital chief executives have signed to get appointed on these coveted posts carrying salaries of over Rs200,000 a month. The chief executives should assume leadership role as originally conceived and be accountable for the overall performance of the institution at the macro level. They should shun the temptation to take over the job of medical superintendents, who were responsible for all day-to-day matters relating to hospital management and patient care. Articulating mission and goals, they ought to improve quality of care, efficiency and service delivery in their hospitals. History informs us that implementing contract conditions, such as provision of baseline data and preparation of business plans, requires persistent emphasis. The chief executives are required, in the first three months after taking over charge, to produce a situational analysis report on the performance benchmark status of the institution and evaluate its progress based on performance indicators. A system of monitoring, data collection and analysis would be put in place, and all officers would send periodic reports that enable computation of service indictors. To put this data to use, monthly performance appraisal for intra- and inter-institutional appraisal is essential. A standard format that gives an overall picture of the hospital performance should be adopted for reporting. Moreover, a review should be conducted at least quarterly. Now hospitals ought to improve their coverage, quality, safety, efficiency, value for money and responsiveness. The budget for the health sector may not be enough, but even whatever is available is not utilised fully. The focus of most hospital reform programmes in the world has been on improving efficiency. Why in one hospital a certain disease, say typhoid, is treated for Rs800, while in another hospital for Rs1,400, with the latter visibly wasting the patients’ hard-earned money? Under the law, the health department can conduct the financial audit of hospitals, as well as determine what services they offer and at what cost. The tools developed by health economists can help in estimating how much each hospital is spending per life year saved, and help decision-makers in devising strategies and policies accordingly. Moreover, the practice of results-based monitoring, rather than inputs or process-based one, should be introduced. 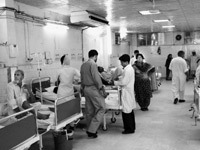 To accomplish this, a functional hospital information and monitoring system based on key indicators – including, for example, bed occupancy rate, average length of stay, case-mix, intra-hospital infection rates, mortality rates, case fatality rates, patient satisfaction, financial and social protection, and responsiveness – is obligatory. The introduction of clinical pathways and standard operating procedures would help check unneeded care. Fortunately, the Ministry of Health is already developing these standards for tertiary-care hospitals. In most countries, the performance of hospitals improved in areas of efficiency, revenue generation and responsiveness after autonomy, but equity was adversely affected. Learning from these experiences, a comprehensive financial risk protection strategy, in particular for the poor, should be devised. Examples from Thailand, Indonesia, the United Kingdom and Singapore show that hospital autonomy and health care financing reforms are mutually reinforcing, and effectively a virtuous cycle is established. To decrease unnecessary and unjustified load on tertiary hospitals, a referral system with differential user fee should be introduced: those bypassing the queue should pay more and this money should be used for subsidising the poor. Capacity building is necessary in the areas of planning and organisation, human resource management and development, financial management, conflict management, decision-making, negotiations with health insurance companies, public private partnership (PPP), contracting, etc. Training of health care providers is also required in the areas of quality management, clinical guidelines, and information management and technology-based systems. Many donor agencies would be willing to extend financial support in these areas. Human resource-related contracts need to be performance based with appropriate staff mix and skill mix. Public sector emphasis on seniority and exam marks undermines need to select and promote competency. The staff, including the medical superintendents and deputy medical superintendents, should be appointed on competitive basis with relevant qualifications, experience and motivation; not on the basis of grade system or length of service. Clear rules for human resource management and abolishing the seniority system in favour of right qualification and experience for the job should be put in place. The difference between academic and non-academic chief executives should be recognised. The current annual confidential report practices induce conformity-driven culture and, therefore, they should be replaced with a format that enables participative work environment and constructive feedback systems. Following a proactive approach, the government should look beyond this initiative for taking the agenda of hospital autonomy to its logical end: refining the existing act, removing anomalies and even corporatising at least one teaching hospital, as had been decided earlier. The board of hospitals should be carefully appointed with representation from relevant stakeholders, while ensuring that sufficient expertise is also available. (The writer is senior advisor with GTZ. While images of droughts, hunger, cyclones, melting glaciers, forced migrations and human miseries are used to depict the challenges posed by climate change, the global distribution of resource endowments seldom comes to the fore with a solution. Therefore, if we look at climate change from the perspective of political economy and human development, an interesting scenario emerges. The divergence tendencies in global economic growth and development situations exemplify skewed distribution of already scarce resources for adaptation projects: rich countries have not met the promises they made under the Kyoto Protocol, thus poor countries have received only 10 percent of the committed money. Another interesting aspect is also related to this inequitable distribution of resources. Under the Global Environment Facility of the United Nations, during the last three years, about $700 million have been doled out to China, India and Brazil, while only under $100 million have been given to 49 poorest countries of the world. In this vein, another comparison also carries weight. While rich countries are showing a declining trend of human casualties due to extreme weather conditions, poor countries are still vulnerable to climate change. The political economy dimensions of climate change are alarming, mainly because of deteriorating environment, and warnings of rising economic costs by deep-ecology and capitalist discourses on climate change. Thus, it is becoming increasingly difficult to ignore the empirical evidence of one degree Celsius rise in temperature, and its impact on the systems of economic productivity and governance. In fact, there is a need to go beyond interpreting climate change as just a shift in weather conditions. For example, the reversal of industrial fortunes since the 1980s, or decline in economic growth due to malaria and HIV/AIDS, has complicated climate change adaptation in poor countries. In fact, the political economy of success or failure of global climate change management – sprouting out of the history of global growth divergence – can be more intense for the developing world than for the developed one. In a way, ‘climate change impacts’ re-narrate the story associated with underdevelopment, inequitable growth distribution and ill-conceived economic change strategies; they may involve mindless and arrogant uprooting of people, loss of livelihoods, destruction of stable social structures and increase in crime. Yet another dimension is a protracting and lingering ‘war on terror’ perching on poverty and deprivation of masses already affected by climate change. For now-developed countries, climate change may mean developing carbon markets or ‘green industrialisation and smart infrastructure’ for growth stimulus (as in the United States), but for developing countries it points to a historical lack of adaptation capability and an emergent collapse of human development. For developing countries like Pakistan, climate change means increased visibility of the failure in modernising public infrastructure (transport, health, education, water management, etc); more stress on the state to diversify industrial and agricultural systems of production; and, most importantly, increased need for equitable distribution of natural resources (for example, water) among diverse range of economic and political agents. Due to persistent economic divergence tendencies – meaning that fruits of global economic growth are being inequitably distributed among countries – and capability divergences – meaning gaps in technological and institutional capabilities – the political economy of climate change shows an interesting pattern. As common sense may also accept, it has been argued in recent researches that the political economy impacts of climate change will be different for developed and developing countries. After having evaluated half a century of data, it is estimated that one degree Celsius increase in temperature will stifle global economic growth. There will be reduction in both agricultural and industrial value-added products. It can also be safely assumed that there will be decline in both the subsistence level production of agriculture and tradable surplus. For developing countries, the impact of climate change will not only be confined to habitats and livelihoods; foreign direct investment (FDI) to them will also decline due to factors like erosion of domestic growth capability. The decline in agriculture, industry and investment will be devastating for democracies as well. The National Bureau of Economic Research in the US estimates that the incidences of social unrest due to climate change may result in increased frequency of ‘irregular regime changes’, including military coups. In short, climate change is much bigger a threat to be left only to environmental cheerleaders and moral turpitude of rich countries. Climate change demands looking back at the basics of the political economy of development and underdevelopment, as well as of global distribution of resources and capabilities, and going beyond the rhetoric of ‘going green’. Climate change adaptation strategies and projects must create another wave of resilient and ‘smart’ public infrastructure development in developing countries. This time, however, the state needs to be more active and be prepared to take the agenda of climate change adaptation at the micro-level. It needs to be more active than a macroeconomic incentive-based market-oriented economic change strategy allows; it needs to create state-society and state-individual synergies for climate change adaptation strategies. The governments and public interest organisations attending the Copenhagen Conference on Climate Change (COP 15) in December 2009 must take note that climate change challenges can best be met with advances in equitable economic, human and ‘green’ infrastructural development processes. The issues especially pertinent to Pakistan in the context of climate change include droughts, unpredictable rates of precipitation, depletion of water aquifers, spread of water logging / salinity, melting of glaciers, flashfloods, unpredicted monsoons, acid rains, drastic reduction in forest cover, marine pollution and rise in sea level. Besides the aforementioned global factors, development processes and other local factors have also a sizable damage. It is important to note that Pakistan is suffering from those impacts of climate change that are a visible cause of loss in productivity and livelihoods, as well as of redundancy of precious ecological assets. While it is wise to take a pro-active stance at the global level in climate change initiatives, it is equally important to mitigate the local causes without further delay. For example, the coastal marine environment of Pakistan under increasing threat, ironically at the hands of its very users. This trend has been spiralled by periodic reduction of mangrove forests from traditional habitats, such as Gizri, Korangi, Phitti, Gharo and adjoining creeks. The development of large-scale real estate along Defence Housing Authority, Bundal and Buddo Islands is one reason for the reduction in mangrove cover. Other factors that have led to this situation include the reckless cutting of mangrove branches and trunks by coastal communities for use as firewood. Field studies by researchers have shown that local people uproot and plunder budding habitat of mangrove plants and continue to do so for mundane use. The uneven pattern of land reclamation by some ambitious developers has cut away marine water flow, thus causing natural death of mangroves. The marine ecology is also impacted by raw sewage inflow. Currently, 400 million gallons of sewage is pushed into the Arabian Sea from Karachi daily. Human waste, sludge, acids, bases, and biodegradable and toxic substances are a few of the ingredients that pass untreated into the sea, thus the microenvironment of the coastline is constantly degraded. The oil spills from ships is another source of pollution. About 90,000 tonnes of used oil is discharged along the Karachi coast annually. These factors contribute to the various climatic factors that need to be scientifically analysed for proper prevention, mitigation and adaptation plans. The precious ecosystem of the Indus delta, spread over 0.6 million hectares, is another case in point. This habitat primarily owes its lifeline to the freshwater discharges from the Indus river. Research studies have shown that 35 million acre feet (maf) water flows down the delta every year, but this happens during only three months. Despite the interprovincial conflicts and claims, it has been found that estuaries run dry for most part of the year. Ingress of sea and threat of destruction of soil quality are two principal hazards faced by local communities in these locations. It may be noted that high salinity adversely impacts the aquatic life and fishing population. Over-harvesting of marine resources, natural meandering of creeks, and grazing of marine greenery by cattle and camels are some of the major concerns in this regard. Mangrove reduction in the region is also extensive due to the aforementioned reasons. 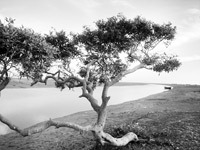 A Suparco study informs that about two-thirds of the mangrove population has died between 1979 and now. Catastrophes – such as tsunami, cyclones and tidal waves – are naturally intercepted by mangroves, thus saving lives and assets. They do the work that is worth a multi-million dollar construction of artificial dykes. The so-called ‘war on terror’ and deforestation in the country’s north has had negative climatic impacts. Dislocation of population and its re-location to places unprepared for new settlements destroy flora and fauna. Bombings and explosions along the length and breadth of Swat and other parts of Malakand have harmed plant life, and scientists have estimated forest depletion of about 800 square kilometres per year in the region. Common sense informs that the loss of forests causes soil erosion and compounds effects of land sliding. The conservation of forests acts as the natural regulator of climate and topographical conditions. In the prevailing anarchy and lawlessness, the forest cover is being conveniently removed by the vested interests for their personal advantage. The existing institutional arrangements for the management of forests fall grossly short of this vital national duty. Mass scale corruption and involvement of high stakes render the monitoring process ineffective. Unless immediate administrative attention, with befitting political assistance, is not paid, it is feared that the damage will lead to environmental catastrophes of high magnitude. In Pakistan, awareness about climate change is slow and unpromising. It is important only because of its link with existing cropping patterns, conservation of water resources, protection of lives and assets of people, and combatting vulnerabilities caused to low-income groups. Meteorologists and other professionals have also made predictions about impending droughts and reduction in water availability. For food production and conservation of settlements, it is vital to prepare a mitigation and adaptation strategy. If food prices soar, it can lead to social and political upheavals. It is also likely that the country may suffer from the climate migration syndrome; people would be forced to relocate due to hazards generated by climatic factors. For a country that is already grappling with security and conflict-based dislocations, a further wave of natural displacement of population is undesirable. There are many ways of approaching this scenario and many organisations are working to address the issue of climate change. Several research groups are also busy in analysing the trends, and developing plans and strategies. A knowledge base is also being developed to address this menace, which is common to all of us. By intelligent use of resources, timely actions and concrete implementation, the constraint can be turned into an opportunity. It is hoped that the decision-makers will rise to the occasion. In fact, the government is giving permission to increase the prices of medicines on a very selective and case-to-case basis, not across the board. Interestingly, a number of companies have managed to get approval for increase in the prices of their products from the Ministry of health during the last two months. Now, these pharmaceutical companies have increased the prices of their respective products from 20 to 50 percent. Though this decision came as a relief to pharmaceutical companies, low- and middle-income groups are finding it increasingly difficult to bear the expenses of medicines. Meanwhile, many life-saving drugs have disappeared from the market. The retailers claim that the shortage of medicines means that the pharmaceutical companies are all set to increase the prices of their respective products; usually these companies suspend their supplies before rise in the prices of medicines. A retailer tells The News on Sunday that many companies are increasing the prices of the entire range of their products, instead of only certain approved products. During a survey conducted to solicit the views of the masses, patients and their relatives in hospitals and at pharmacies vented their emotions against the government’s decision to increase the prices of medicines. "We live in jungle where there is no law to check the price-hike," says a 52-year-old man who was purchasing medicines at a pharmacy. A cardiac patient sarcastically remarks: "Our leaders are doing everything in the ‘supreme national interest’ and this price-hike is definitely ‘in the supreme national interest’. Instead of eliminating poverty, the government is trying hard to eliminate the poor by dropping the bombshell of price-hike." Sohail Akram, a human rights activist, views that the surge in drug prices would put additional burden on those who are already suffering from the effects of inflation. AK Zaidi, programme coordinator at a local NGO that provides basic health facilities to the poor, compares the prices of medicines in Pakistan with those in India: "A medicine that is available for Rs80 in Pakistan only costs Rs30 in India." Ahmad Hassan, a former sales representative, says the government should ask pharmaceutical companies to sell their medicines with their generic names, instead of their brand names, because this step will help bring down the prices of medicines drastically. Dr Khalid H Sial, while commenting on increase in the prices of medicines, points out that in India about 70 medicines are still in the controlled list and the government fixes their prices. Moreover, the prices of medicines in India are determined by the National Pharmaceutical Pricing Authority, while in Pakistan there is no such authority and the prices of medicines are fixed by government officers. An official of the Drug Control Wing of the Ministry of Health views that the Price Review Committee has approved the increase in prices of products of some companies on case-to-case basis. 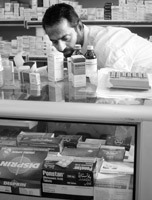 A representative of the Pakistan Pharmaceutical Manufacturers Association (PPMA) claims that the government had frozen the process of medicines for the last seven years despite steep rise in inflation, devaluation of the local currency and increase in the prices of inputs for pharmaceutical products. "Though the pharmaceutical industry was under severe pressure recently, currently 400 pharmaceutical companies (375 local and 25 international) are catering to 75 percent medicine requirement of the country’s population and 0.4-0.5 million people are associated with this industry," he informs. Despite the fact that several factors lead to increase in the prices of medicines, the import of raw materials and pricing formula are perhaps the most important ones. For instance, many pharmaceutical companies claimed that they import raw materials from Europe and Australia. In fact, the materials for the preparation of medicines are imported from China and India, where they are relatively cheap as compared with Europe and Australia. In this context, if the Ministry of Health bound the pharmaceutical manufactures to acquire relatively cheap raw material from the world, the prices of medicines can be stabilised at least to some extent. As far as the issue of pricing formula is concerned, as per practice the pricing of same molecule or its medicine varies from company to company. This discriminatory and unjust practice has become a breeding ground for corruption within the Ministry of health. Moreover, pharmaceutical companies that got the government’s approval to increase the prices of medicines are spending money on medical practitioners to get their favour. The concerned authorities in the Ministry of Health should fix an equal price for the same medicine or molecule prepared by different companies, whether local or international. This action would not only minimise the chances of corruption in the sector, but also would provide a level playing field to all pharmaceutical companies. Besides this, the government needs to establish an effective price regulatory authority that should have the representation from all stakeholders: the pharmaceutical industry, civil society, doctors’ organizations, consumer rights bodies, etc. The scope of this authority should not only be to fix the prices of medicines across the board, but also to check the availability of essential, especially life-saving, medicines. The World Bank defines microfinance as "small loans that help poor people who wish to start or expand their small businesses, but are unable to get mainstream banks to lend to them." Microfinance is often considered as one of the most effective and flexible strategies in the fight against global poverty, because it empowers people by making it possible for them to earn sustainable livelihoods, through the undertaking of income-generating schemes and the promotion of self-employment. It can also be implemented at a massive scale necessary to respond to the urgent needs of those living on less than $1 a day, the world’s poorest people. Therefore, many governments in the developing world encourage the setting up of microfinance institutions (MFIs). In Pakistan, the official poverty line in 1998-99 was defined at Rs7,800 ($129.60) per capita. According to this definition, about 48 million Pakistanis (33 percent of the country’s total population) live below the poverty line. Microfinance assists in reducing poverty by endowing the poor with opportunities for self-employment and providing them with a credit facility to start a small business. The self-employment of those people is especially stressed who have the requisite skills but no capital to set up a business. However, microfinance is more than just a means to make small loans available to deserving people – it is also a process through which to liberate these people politically, economically, culturally and socially. Microfinance not only improves the economic condition of the poor, by helping them make their ends meet, but also has positive impacts on their social life, by enabling them to have a better standard of living with greater access to education and health facilities. It also has significant effects on capacity building, increased awareness about issues and women empowerment. By supporting women’s economic participation, microfinance grants these women valuable financial independence. It empowers women both socially and economically, thereby promoting gender-equity and improving household welfare. This is imperative because gender equality and women’s empowerment are human rights that lie at the heart of development and the achievement of the UN’s Millennium Development Goals (MDGs). In Pakistan, the vast majority of the population is employed in the informal sector of the economy. Consequently, these people do not have access to formal sources of financing, such as mainstream banks and financial institutions. Thus, the poverty-stricken people typically acquire loans from informal sources. According to the NHDR/PIDE Survey 2001, the four traditional sources of microfinance in Pakistan are friends, relatives, shopkeepers and landowners. Microfinance in Pakistan is a relatively new concept as compared with other countries in South Asia. NGOs and Rural Support Programmes (RSPs) have been the major players in the sector since the early 1980s. Recognising microfinance as an important poverty alleviation tool, the federal government has also adopted a microfinance policy that mainstreams the concept of sustainable microfinance, recognises the private sector’s role in poverty reduction and encourages its entry into banking with the poor. Pakistan has one of the largest prospective markets for financial services within the microfinance sector, with a clientele base of almost 6.6 million; a number that will rise in the future due to the country’s high rate of population growth. This can be used as a yardstick to gauge the importance of aiding the rural and urban underprivileged people to have unproblematic access to a range of easy and affordable financial products, such as saving schemes, micro-credit, micro-insurance, remittances, etc. However, in Pakistan, at present microfinance mostly remains a single commodity market restricted to micro-credit. These small loans usually range from Rs10,000 to Rs25,000, and are mostly taken for use in agricultural and trade activities. Currently a variety of institutions ranging from NGOs to private- and government-sponsored RSPs are delivering microfinance services to the poor. Commercial banks –such as the First Women’s Bank, Bank Islami, Bank of Khyber, etc – are also providing lines of credit for the microfinance sector. A number of new MFIs have sprung up in Pakistan in recent years. Khushhali Bank Limited was established in August 2000 as the country’s first licensed MFI, with initial funding from Asian Development Bank (ADB) and the paid-up capital subscribed by 16 commercial banks. Khushhali Bank came into conception as part of the Government of Pakistan’s Poverty Reduction Strategy and its Microfinance Sector Development Programme (MSDP), which was developed with the facilitation of ADB. It functions under the guardianship of the State Bank of Pakistan (SBP) are to retail microfinance services on a widespread level and to act as a catalyst for stabilising the country’s newly-formed microfinance sector. Talking to The News on Sunday, Khushhali Bank President Ghalib Nishtar stated: "Within the overall mandate of financial inclusion, Khushhali Bank is expanding service access to low-income households across Pakistan, with special focus on excluded areas and segments of the market. Gender and microfinance are unequivocally important and our experience as well as evidence elsewhere demonstrates greater dividends for institutions that pursue this as a strategy in terms of impact and sustainability. Our endeavour is to facilitate financial service access to women micro-entrepreneurs." This has been demonstrated by the success stories that have transpired as a result of the efforts undertaken by these MFIs. Raffia Ismail, a 27-year-old woman with three children and a husband, lives a content life in Baldia Town, Karachi. Though her life may be good today, the same could not have been said about Raffia until a few years ago, when circumstances demanded of her to come to the forefront and become the main breadwinner of the family. Before hearing about Khushhali Bank and availing the opportunity of obtaining a loan, Raffia used to stitch clothes day and night in order to make both ends meet. Unfortunately, she was still unable to generate sufficient income to even afford the basic amenities of life. She knew that she was capable of doing much more and that she had the potential to significantly increase her earnings. The only obstacle in Raffia’s way was that she had no earnings / savings to invest in another sewing machine and materials that would have enabled her to start her own embroidery shop and centre, where she could teach the art of embroidery to other women for a small fee. This was made possible after she got the money required as the initial funding. Today her vision has translated into reality and she now runs a centre where she teaches about 25 women how to stitch and do embroidery. The progress Raffia has made is commendable; she is a perfect example of an empowered woman, who has made something of herself and who has, contrary to common belief, proved that women can do anything and everything. Another important addition is the First Microfinance Bank, a banking and loan institution of the Aga Khan Agency for Microfinance. It is the embodiment of the concept of micro loans as a means to spur development in the Third World. These loans are quite diminutive, but provide access to capital that was previously not possible due to economic, cultural or historical reasons. These are just a few examples of the major MFIs operating in the country. Additionally, there is an extensive network of both public and private sector organisations, mostly NGOs, that exist principally to facilitate the disadvantaged and deprived by making it possible for them to obtain small loans to set themselves up in business; hence become self-supporting and economically-productive members of the society. The easy and widespread availability of microfinance is also one of the most beneficial and important factors in the study of small-scale industries in Pakistan; because most entrepreneurs require financing to start up a new business or keep a present business going. It is not a smooth sailing though, because there are those too who are too poor to even avail themselves of institutional microfinance services. These are the people who lack even the most basic steady sources of income and are, thus, in no position to make the mandatory repayments. Additionally, a large proportion of the people who need such small loans reside in the rural or other far-flung and inaccessible areas. Hence, it is the non-governmental sector that primarily steps in to help these underprivileged people who are passed over by the formal MFIs. Being a poet of peace, tolerance, religious harmony and nationalism, Rehman Baba is an acknowledged cultural symbol of the Pashtun society. He is admired and respected by all shades of the Pashtun society. Due to his versatility, he has been owned by various Sufi schools of thoughts, such as Naqshbandiya, Chishtiya and Qadiriya. Therefore, the majority of the Pashtuns considered the attack on his shrine as an attack on the Pashtun identity and culture. Aggrieved by the attack, scores of Rehman Baba’s admirers are visiting the shrine and paying homage to the legendry Pashtun mystic poet. Condemnation meetings and protest rallies against this heinous act are also been organised. The attack has been condemned not only by the people of Pakistan, but also by the Afghan government. It is not the first time that the militants are attacking shrines. On many occasions in the past, they have carried out attacks on shrines in the NWFP and Fata. But the desecration of the shrine of the greatest Pashtun poet did not go unnoticed and triggered widespread anger. The attack on Rehman Baba’s shrine marked another aspect of the rigid Wahhabi agenda of the militants, who want to enforce it at any cost. Purification of religion is one of the main components of their agenda, and culture and education are becoming their main targets besides women mobility. Having dissenting views is fine, but forcefully imposing ones’ beliefs or ideas on others is not allowed in a civilised society. For the militants, visiting shrines is apostasy and saying prayers at the mosques attached to them is un-Islamic. They are also very critical of the women visiting shrines for spiritual healing. The Sufis played an important role in the spread of Islam in our part of the world; therefore, the popular religious culture has been traditionally represented by them. The popular Sufi religion is a mixture of music, chanting and meditation; and one can see this at weekly sessions and annual festivals at Sufi shrines throughout the country. The devotees visit these shrines and holy places not only for spiritual guidance and healing, but also for outing and recreation. This has led to the development of a new form of tourism: pilgrim tourism. Thousands of people visit these places, in most cases in groups with either friends or family members. This kind of tourism is very common and popular in Pakistan, especially in Punjab and Sindh. Due to its non-violent, tolerant and moderate nature, Sufism does not fit in the ideological scheme of militancy, which is increasingly becoming violent and intolerant towards other sects. The militants’ worldview is a mixture of various ideologies, but judging from their core beliefs and actions one can easily observe the dominant trend of Wahhabism in their ranks. Wahhabism is a conservative form of Sunni Islam attributed to Muhammad Abdul Wahhab, who advocated a return to the practices of the first three generations of Islamic history. Abdul Wahhab, whose name is the source of the word ‘Wahhabi’, founded a religious movement in the Arabian Peninsula during the eighteenth century (1703-1791) that sought to reverse what he perceived as the moral decline of his society. It is the dominant form of Islam in Saudi Arabia, but its influence has considerably extended to other Muslim countries through generous Saudi funding to mosques, religious schools and Islamic movements. Of late, Wahhabism has also started serving as a powerful ideological and political tool of Saudi diplomacy, helping it strengthen its influence and counter the Iranian influence in the Muslim world. While denouncing many popular Islamic beliefs and practices as idolatrous, Wahhabism advocates returning to the pure and orthodox practice of the fundamentals of Islam, as enshrined in the Holy Quran and in the life of the Prophet Muhammad (PBUH). The Wahabi puritanical philosophy is in conflict with other popular Islamic practices, such as saint veneration, celebration of the Holy Prophet’s birthday, core Shia traditions and some practices associated with the mystical teachings of Sufism. During the Afghan war, Wahhabi scholars started propagation of ‘jihad’ and since then militancy has become one of its main features. The attempts to politicise and militarise Islam in the 1970s and 1980s led to the introduction and emergence of more militant and extremist forms of the religion in Pakistan. One of the reasons for the phenomenal rise of Wahhabism in Pakistan was the Islamisation drive by General Zia-ul-Haq, which coincided with the use of religious card first for containing communism and later the Iranian Revolution by some western powers in the 1970s and 1980s. During this period, the country witnessed mushroom growth of madrassas (seminaries), most of which were financed by Wahhabi missionaries from the Gulf countries, especially Saudi Arabia. The increase in Wahhabi madrassas and unchecked flow of Wahhabism-influenced volunteers for the Afghan war played an important role in the indoctrination of the youth. Consequently, it polluted the religious environment in Pakistan; the militant and extremist forms of the religion strengthened and gained dominance, while the poplar non-violent and tolerant forms were pushed in the background. It sowed seeds of militancy and further strengthened extremism, which from time to time manifested itself in sectarian clashes and anti-Ahmadi movements. Due to this ideological onslaught, the egalitarian Pashtun society, presenting an exemplary model of religious harmony and having no record of sectarian clashes, is witnessing extreme acts of intolerance. Even the rival sect’s mosques, scholars, and religious and funeral processions are not spared and are brutally targeted. The growth of sectarianism and extremism is in direct proportion to the growth of Wahhabism in Pakistan. Since the mid-1970s, there has been a phenomenal increase in the influence of Wahhabism and the subsequent growth of sectarianism and militancy can be explained in this context. The militant Islam was not only suited to the Pakistani establishment, but also to its western masters who extensively used it for furthering their strategic interests in the region, and countering and containing their rivals. The militancy – fathered by the Inter-Services Intelligence (ISI) agency, ‘midwifed’ by the CIA and nurtured by Saudi petro-dollars, is getting out of control. Once the genie of militancy and extremism is allowed to come out of the bottle, it is difficult to put it back again. Being close to the people, the Sufi tradition and culture is deep-rooted; it airs the aspirations and feelings of the people. The Sufis extensively used music, dance and poetry for popularising their teachings and religious message. Despite tough resistance and opposition by the orthodox clergy, the Sufi poetry and music are still a great source of inspiration. The fusion of poetry and music with the religious beliefs brought by the Sufis represents our rich heritage. Keeping in view its ideological roots, the non-violent and moderate Sufism can be used to counter extremism. Sufism is more deep-rooted and has stronger ideological basis than the political Wahhabism. Thus, there is need for revisiting our Sufi heritage – the heritage of love, peace, tolerance and harmony.